Learn the role, methods, practices and tools of an effective Product Owner and/or Business Analyst in a Lean-Agile team. 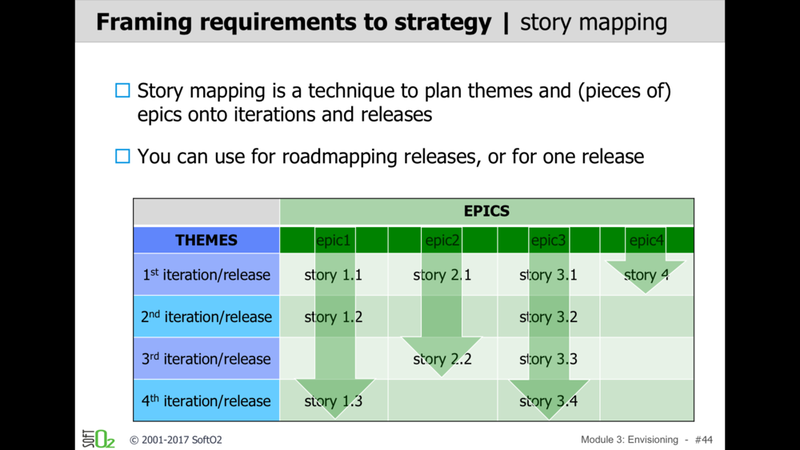 Define or elaborate epics and personas, drive story mapping and backlog grooming sessions. 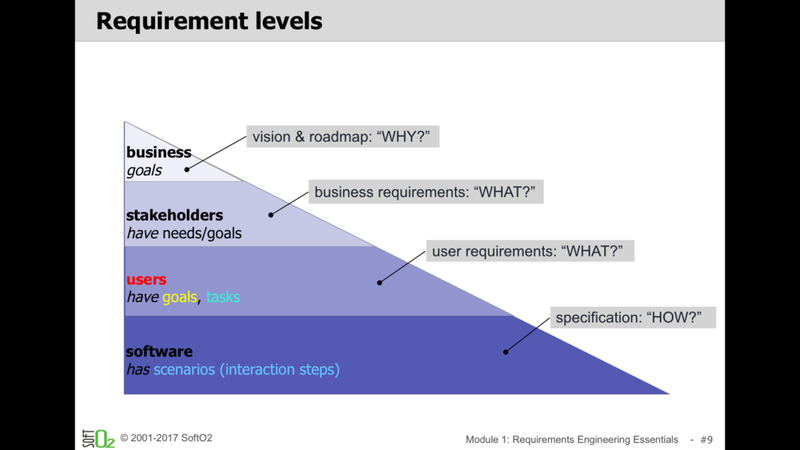 Specify user stories collaboratively with the Team, and contribute to iteration planning and execution. Bruce Schoor is an advisor, coach and trainer with 20+ years of software engineering experience in the industry. He has helped more than 250 teams to improve effectiveness and agility. Bruce is a guru and active practitioner in methods and culture, specifically in Lean-Agile, requirements engineering, development practices, QA and testing. Bruce grew up in The Netherlands where he completed a B.Sc. and M.Sc. in Electrical and Software Engineering from Eindhoven University of Technology. Since then he has lived in 5 countries and speaks 6 languages fluently. 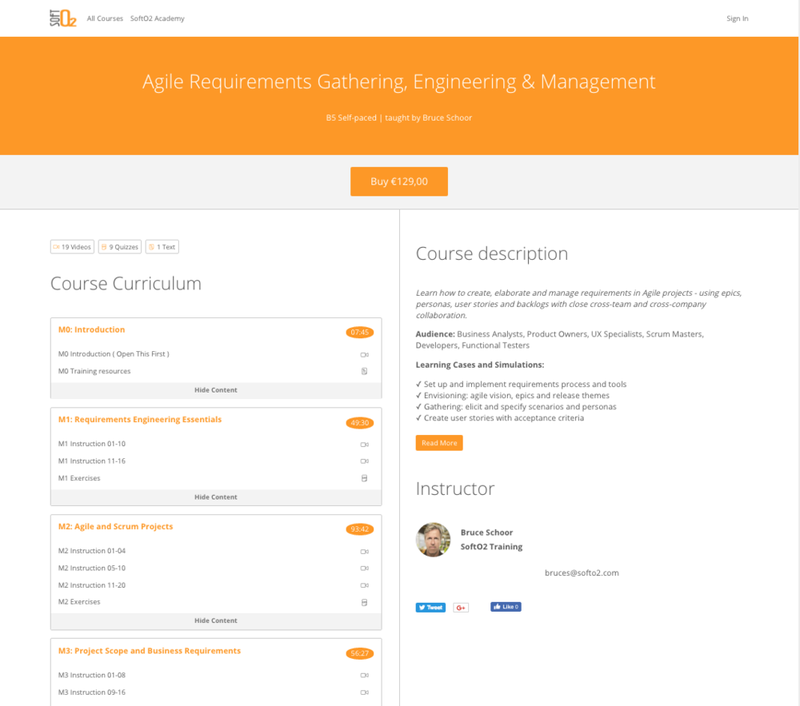 The videos gave me a lot of new ideas and practical approaches that I had not seen before. This video training allowed me to obtain practices and skills that I can immediately apply in my current role.